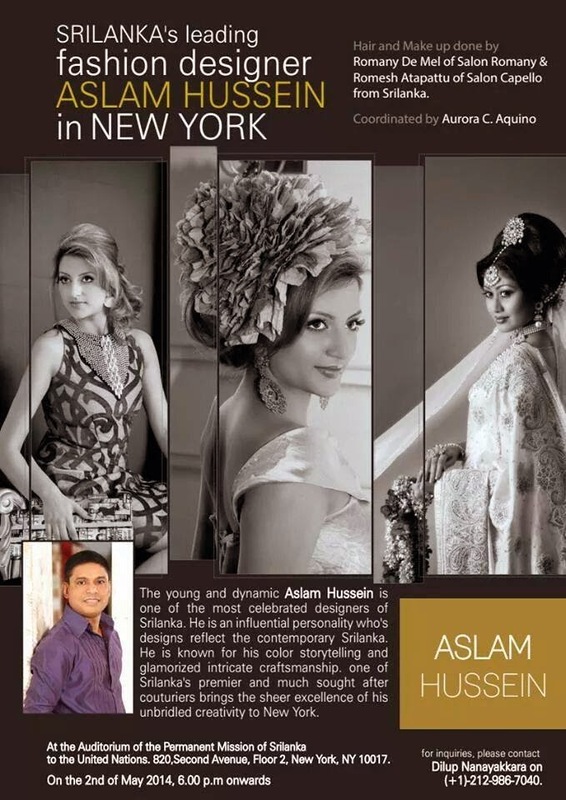 Extravaganza,style and amazing quality time this is how i can describe my evening at Aslam HUSSEIN fashion show at The Permanent Mission of Sri Lanka to the United Nations,NY .He is Sri Lanka leading designer and his fashion show was an historic event -was first time when a designer from Sri Lanka present his collections in USA! Fashion Coordinator Aurora C Aquino deliver a quality fashion show like always,choosing the best of the best in all she do...she had a nice surprise getting a award in gratitude for being a amazing coordinator! Aslam Hussein design capture as with the beautiful vibrant colors,beautiful fabrics,glamorous dresses and jewelry!beautiful breath taking dresses who capture our eyes and our heart! Congratulation for Sri Lanka ,congratulation General Ambassador Silva ,congratulation Aslam Hussein!